Welcome to Mel's Hot Tub & Spa Services website! 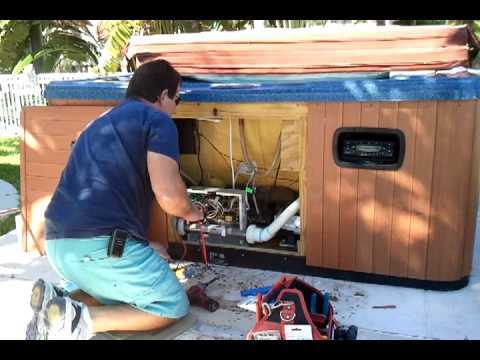 Do you have a hot tub or spa that needs repaired? What about moved? 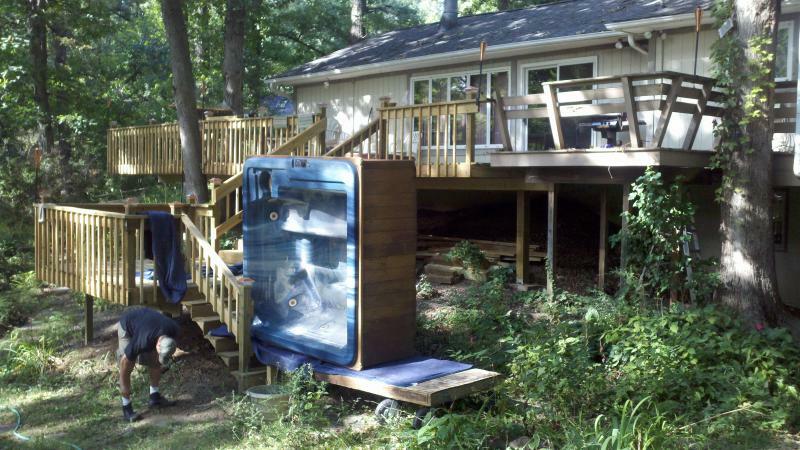 Do you have an old hot tub that you want us to dispose of for you? Hi, I am Mel, and this is my business! I want to help you with all your hot tub & spa servicing needs. 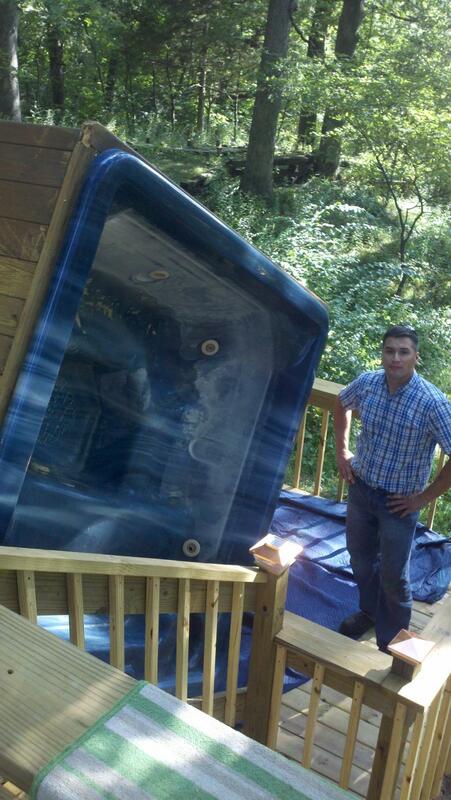 This is me standing next to a recent addition to our hot tub moving resume. 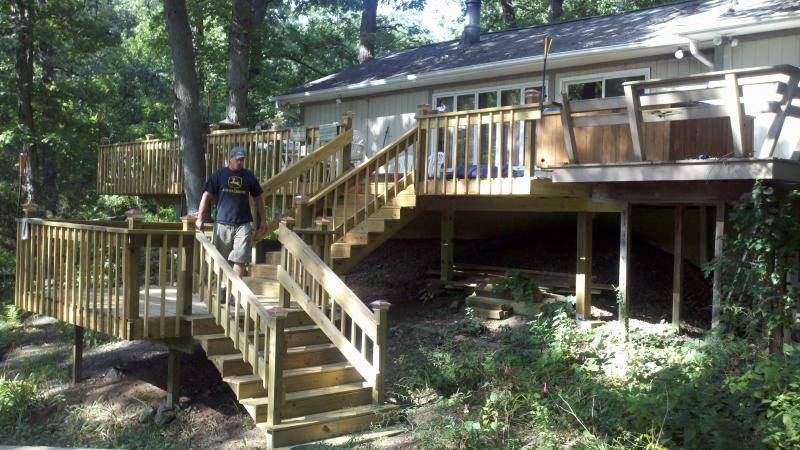 This beauty was moved in less than 30mins from this deck. 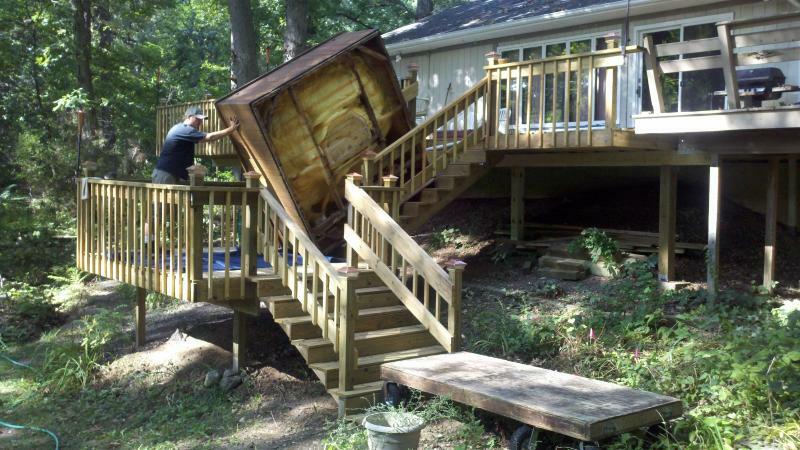 without any harm to the brand new structure of the deck. The below tub came from the top of this deck to the bottom. Safe at the bottom. Success!!! 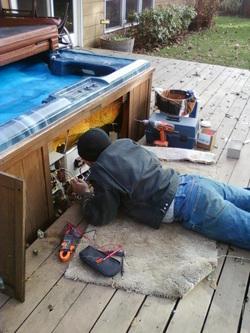 Our Business specializes in servicing hot tub's and spa's. 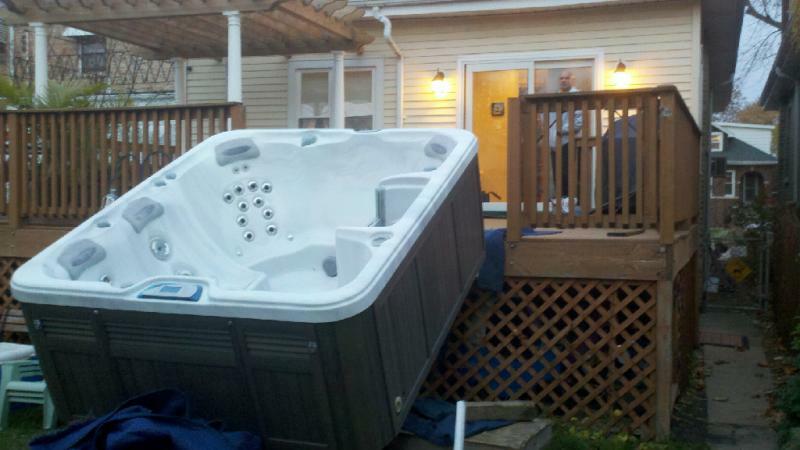 whether you need one repaired or moved, anything hot tub related we provide the service. We also provide disposal services too! If you own an old spa, do not want to deal with it any longer, and are wondering whom you can call to come over and remove it for you from your home, we can do that also! please call us so that we can discuss your spa disposal needs. Another hot tub getting repaired. Oh no, you're hot tub isn't working? We can help. We fix heat related issues. Broken spa plumbing pipes, leaks. We also have References from previous satisfied clients we have provided services for in our past. We are a super service award winner on Angieslist!!! I am very proud of the relationships we have created with our past moves, and will gladly put you in contact with these previous clients so that you can hear for yourself, about our Skills & professionalism. Call us to discuss our hot tub disposal services also! The Spa Delivery Rig below. 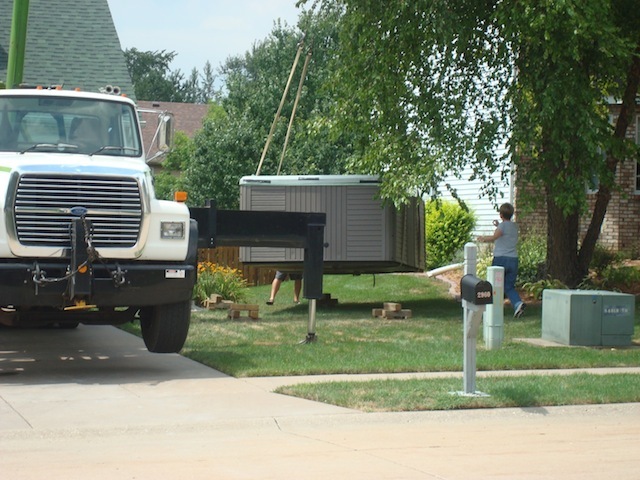 All of Mel's hot tub & spa moving equipment is yard friendly. We try our hardest not to damage the grass. We want our clients to be happy with how we left they're yard. 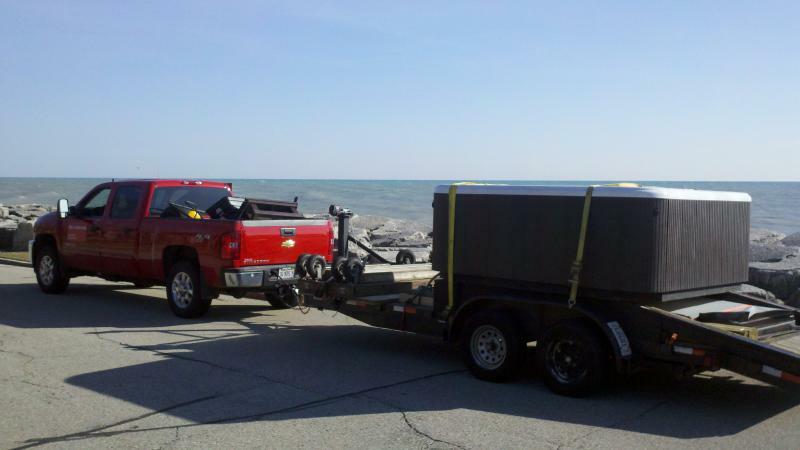 We do not drive our truck & trailer on a clients lawn, unless they request it. 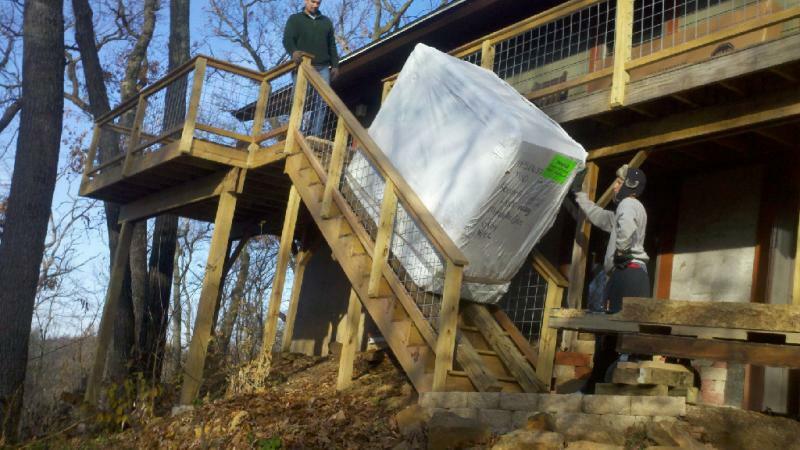 We have a special dolly that transports hot tubs safely and harmlessly through peoples yards. Putting our clients concerns first!!! Copyright 2010 Mels Residential/Commercial Movers. All rights reserved.